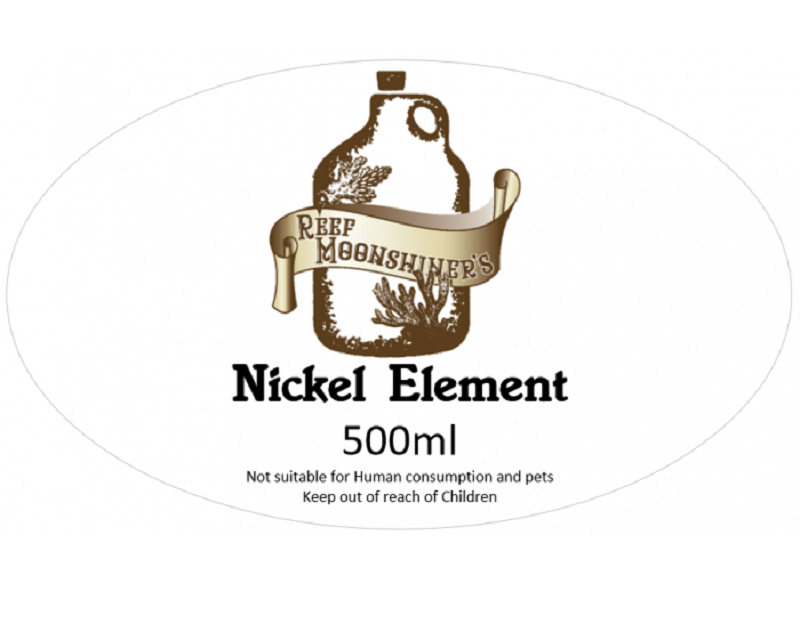 Reef Moonshiner's Nickel Element for enhanced coloration in a crazy Reeftank. Subsequent ICP required to avoid overdosing and to determine consumption of Nickel. Recommended only for very experienced hobbyists.